€305.00$332.45£265.353% off Out of Stock. MB Star C3 Pro with seven cables, multi-languages, update via hard disk. 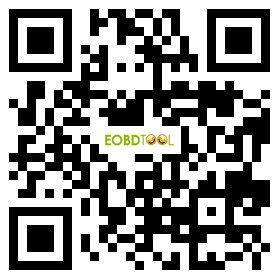 MB Star diagnostic tool support diagnosis and programmer for Benz Car, Bus, Truck, Sprint, Smart from 1998 to 2014. 3. Update: Update by change newer HDD. 4. Mb star c3 is a scanner, diagnose and program tool for benz car and truck from 1998-2014. It can do benz W203 W204...SRS reset by OBD2. 2. Easy use by computer, we offer install service for you if you buy dell 630 computer from us. XP-STAR(Auto-Link Blue STAR) realizes all the functions of official factory BENZ Star2000: reading out and erasing trouble code; reading the real-time data of sensor and actuator; coding and programming. It applies the latest high-tech central gateway system of car model 221/211 and 203, can enter all the Benz cars, such as autobus truck, saloon car,sports car,smart car and so on. - This version of MB STAR C3 can fit all computers, it is not only limited on IBM T30, provide great convenience to customers. It has one hard disk contain DAS and WIS system. - With a 7 meter RS232-RS485 cable, provide more convenience to garage when diagnose. - Every hard disk has it's special number, have self-test function. Just give us the self-test report and the number,we will find out what's the matter with this tool, avoid the shipping charge when this tool need fix. - What is most important, this C3 has past truck test. It can used to do benz trucks. How to change MB C3 language? 1. Q:Dear marshall,I buy this hdd in last month is 2014.01,I found your website has update to 2014.05,need I buy a new version now? A:No need,friend,we advise all customer can update hdd in one year one time.There is no BIG difference in 01 and 05 HDD. 2. Q:Can it program my gearbox in 2007? 3. Q:Hello,I want to know about offline function,can it do my w212-204-207? A:dear sir,it is belong to online function,offline just can do few cars. 4. Q:Can your c3 do my engine M-B C 270 cdi, 2003,I need to clean fault code. You can get more FAQ of C3, in HERE. How to change or reset the language for your Mb Star C3? Q: MB Star C3 prompts "Xentry Diagnostic version is too old: Please install the current version." Q: Can MB Star C3 support speed change? A: Only super MB STAR c3 can support speed change for truck, and the other MB STAR can’t do. Q: Which tool can clear ABS/SRS fault codes for Mercedes S 430 2006? A: Star c3, star c4 and sdc4. Q: Dose MB Star C3 contain Xentry? A: Star C3 contains: DAS, Xentry, EPC, WIS, ST Finder, Star Utilities, etc. Q: Do I need to buy additional tool to work with C3?